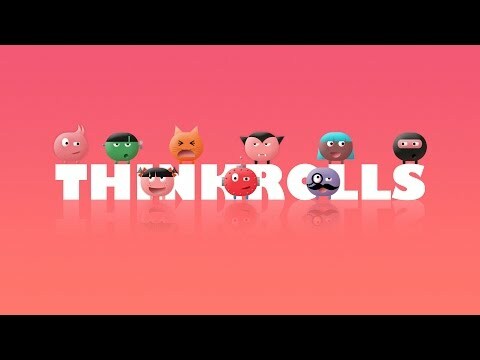 Thinkrolls by Avokiddo is another smash hit by these ingenious and award winning developers. Adorable little balls, called Thinkrolls, with big personalities, work their way through a maze to find a friend. But watch out! These mazes get more difficult after time and premeditated strategical thought must take place in order for the Thinkrolls to proceed. This highly engaging game helps kids problem solve all while having a stimulating adventure! Thinkrolls is a fun educational app that’s one part rolling ball platformer, one part physics puzzler and 100% irresistible for kids 3-8. From the same developers as the enamored Beck and Bo characters and the makers of Avokiddo Emotions – Playful learning for kids app, this is another app that will not disappoint. From the start, kids are drawn into the mysterious world of Thinkrolls as they choose which character will lead them through the maze, with obstacles galore! A back button allows users to redo their moves if they haven't planned accordingly. Yes, we all learn through trial and error. The kids we worked with had a blast navigating their Thinkrolls through a series of obstacles in brightly patterned mazes. Each new chapter introduces a new object with unique physical properties which kids discover through hands-on manipulation. "Little players encounter and use to their advantage force, acceleration, buoyancy, heat, elasticity, and gravity to get their Thinkrolls where they need to go." This brilliant app appeals to children’s natural curiosity and challenges them with exciting gameplay to foster creativity and out-of-the-box thinking. There are 90 easy, and 90 harder levels which enable children to gradually build upon scaffolded lessons to develop observation, reasoning, problem-solving, spatial cognition and memory skills. The more the kids we observed played, the more they LOVE the Thinkrolls! True to form, this Avokiddo app will have a long shelf life.